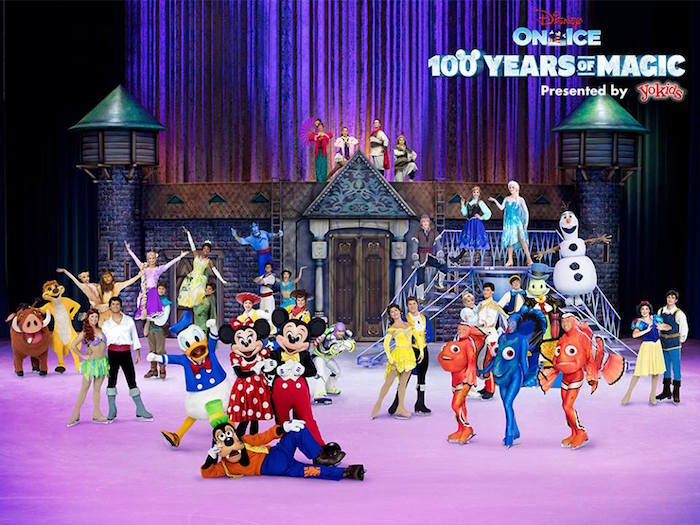 Grab your Mickey ears and get ready for the ultimate Disney experience at Disney On Ice celebrates 100 Years of Magic! Be charmed by a cast of over 50, with Mouse-ter of Ceremonies Mickey Mouse, sweetheart Minnie Mouse, Donald Duck, Goofy and Disney Princesses including Cinderella, Rapunzel, Ariel, Snow White and Tiana. Relive the magic of Disney’s Frozen with Anna, Elsa and the hilarious Olaf as they discover that true love is the greatest magic of all. Sing-along to over 30 unforgettable songs including "Let It Go," "You've Got a Friend in Me," and "Hakuna Matata." Exciting moments from Disney Pixar’s Toy Story, Finding Nemo, Disney’s The Lion King, Beauty and the Beast, Aladdin, and more will leave the whole family with memories to last a lifetime. If you are in Toronto and would like to win 4 tickets to go to the show on Thursday March 17th at 7p.m. at Rogers Centre enter the giveaway through the rafflecopter below before March 5. Please follow my social media networks and leave comments to be eligible to win. Yes yes yes!! We love Disney on Ice! Yes I am able to make it to Rogers Center Thu Mar 17 @ 7p.m. for the Disney On Ice Celebrates 100 Years of Magic show? Yes I can make it! Yes we would be able to attend! Yes, we can definitely be there! I will be able to make it! Yes I can make it. My daughter's birthday is March 28 so this would be an amazing gift for her 4th birthday. I can definitely make it! My girls would love it!! We could go! We love Disney on Ice! I'm hoping to win for my sister, who can definetly make it. We discussed this before I entered. I'm the cool aunt for this obvious reason! I absolutely can make it! My kiddos would LOVE it! !